Ministers, together with its President and the President of the European Commission. It is responsible for major policy decisions. At present, the role of the European Council is loosely defined and is it chaired by the Head of State or Government of the country holding the rotating six-month Presidency of the European Union. 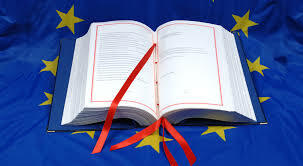 Under the Reform Treaty, the role of the European Council is defined and becomes a full EU institution. The President of the European Council will be elected for a renewable two and a half year term. The election will be by a qualified majority of the members of the European Council. The President of the European Council can be removed by the same procedure. The main task of the President of the European Council, which is not a decision-making role, will be to prepare the Council’s work, ensure continuity and seek consensus within the Council. The Council of Ministers consists of representatives of the EU’s member governments. Under the Reform Treaty, the Council will continue to share law-making power with the European Parliament and will maintain its central role in the foreign and security policy area, and in coordinating economic policies. The main change is that new voting arrangements will come into effect from 2014. These are designed to make the work of the Council of Ministers more efficient. The new system requires that proposals will normally need to have the support of a majority (55%) of EU Member States representing at least 65% of the EU’s population. The new Treaty will make this system of qualified majority voting the norm when decisions are being taken by the Union, except where the EU Treaties require a different procedure (e.g. a unanimous vote). Important policy areas for Ireland such as taxation and defence will continue to require a unanimous vote. The Treaty also changes the arrangements for the Presidency of the Council of Ministers. At present the Presidency, or chair, of the Council changes every six months. In the future, the Presidency will be provided by a team of three Member States working together over an 18-month period. This is designed to increase the coherence and efficiency of the Presidency. The European Commission is an independent institution charged with representing and upholding the interests of the EU as a whole. It submits proposals for new EU legislation, policies and programmes. It is also responsible for implementing EU decisions. The Commission ensures that the Member States abide by the treaties and give proper effect to the legislation adopted by the Council of Ministers and the European Parliament. There has been a concern for some time that the Commission is in danger of becoming too large and unwieldy. In response to this concern, the new treaty will limit the number of Commissioners at two-thirds of the number of Member States (e.g. with 27 countries, there would be 18 Commissioners). All Member States, regardless of size, will have a guaranteed equal right to nominate Commissioners. No significant changes have been made to the role of the European Central Bank or the Court of Auditors. The new Treaty extends the jurisdiction of the Court of Justice in relation to judicial cooperation in criminal matters and police cooperation, and changes some of its procedures.